Palatine Park District’s High School Comedy Playhouse program will be holding auditions for their summer production of “The Seussification of Romeo and Juliet” by Peter Bloedel. Auditions will take place on Wednesday, May 30 and Friday, June 1 at Community Center, 250 E. Wood Street, in room 2C from 6:00pm-9:00pm. To audition, participants must complete an audition form online located on the Program Applications page under the Register Online tab. Students are expected to prepare a one minute monologue from a published play. It is strongly recommended that monologues be memorized, but not a requirement. Students will then be paired up to read scenes from the script. Actors should be prepared to provide a list of all existing conflicts in June and July. Rehearsals begin on Monday, June 4 and full schedule will be based upon cast availability. There is a $50 registration fee for students cast in the play. “The Seussification of Romeo and Juliet” will open at Cutting Hall Performing Arts Center, 150 E. Wood Street, in Palatine on Friday, July 20 at 7:00pm. Two additional performances will be presented on Saturday, July 21 at 7:00pm and Sunday, July 22 at 3:00pm. Tickets will be available for purchase through the Cutting Hall Box Office in June. 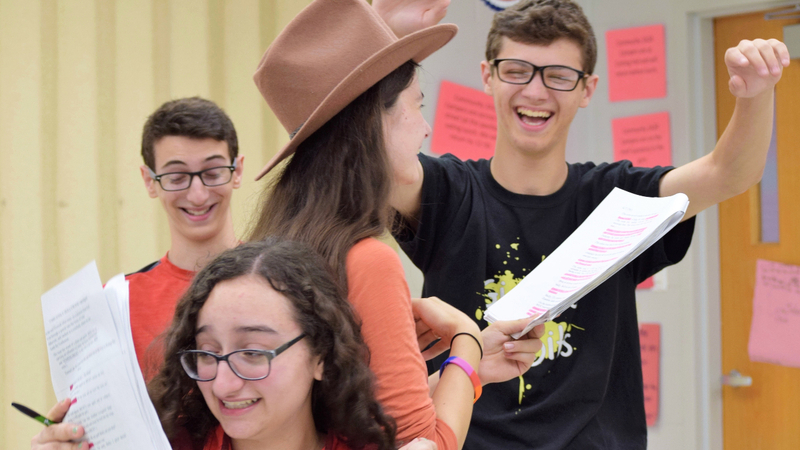 For more information about the High School Comedy Playhouse program, contact Cultural Arts Coordinator Ashley Schiavone at 847.496.6237 or aschiavone@palatineparks.org.